ex-offenders successfully reenter society and the workplace. Order today! 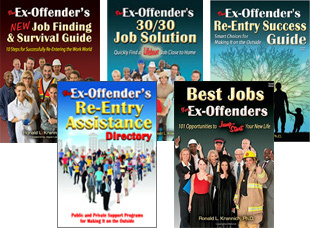 Over 400 Empowering Resources Included in the Complete Ex-Offender & Reentry Kit! No One Will Hire Me! 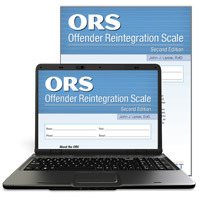 The ORS helps offenders and ex-offenders identify potential barriers to successful reentry, it also helps them develop a plan for overcoming these barriers to become a successful, contributing member of society. Counselors and administrators can better prevent recidivism, institutions can access the success of rehabilitation efforts and programs, and ex-offenders can take the steps necessary to move forward. Takes only 20-30 minutes to complete. According to the U.S. Department of Justice, more than two-thirds of released offenders are rearrested within three years. Studies have shown that one of the top factors in preventing recidivism is steady employment. Yet many individuals transitioning out of incarceration lack the fundamental tools and information they need to conduct a successful job search. Quick Job Search for Ex-Offenders provides offenders with job search guidance that speaks directly to their concerns, barriers, and goals. 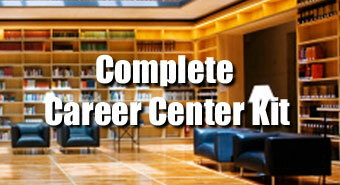 Ex-offenders gain skills and knowledge in the seven key stages of the job search. Here's the perfect street-level re-entry guide for making smart transition decisions. It may well cut users’ re-entry time in half as well as lower their recidivism rates. This engaging guide helps ex-offenders remain positive, focused, and entrepreneurial as they both map and navigate the often confusing and overlapping maze of re-entry programs and services available through a jungle of government agencies, nonprofit organizations, and faith-based groups. This weekly planning journal, newly revised, assists ex-offenders in dealing with key transition issues during their first critical 99 days in the free world. Used alone or in a group setting, this book provides an important structure for keeping ex-offenders focused on those things they need to do on a daily basis in order to become successful on the outside. It serves as a critical motivator for developing a new pattern of behavior in the free world. These vibrant posters give a broad summary of the U.S. Department of Education career clusters. Included with sample occupations within each cluster, each poster also has school subjects and some interests and skills often needed for each a career in that cluster. These posters do more than just decorate a room: they give the reader important information to help sort through their interests and goals. Full color, 17" x 22", laminated.